It is finally, finally hot and sunny in Scotland. Hooray! 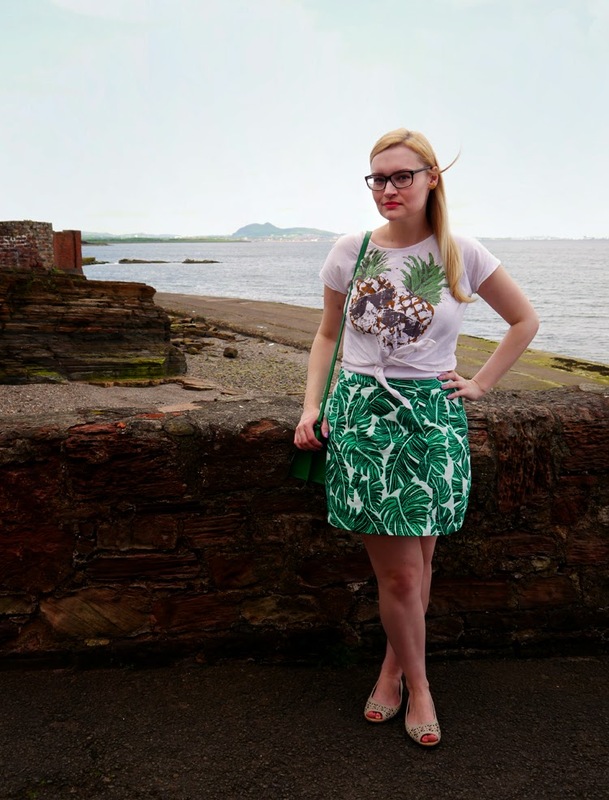 I am living out my dream of dressing like a tropical holiday ad. Got my oversized palm leaves and pineapples in various incantations- throw me a watermelon and a couple of coconuts and I'm ready to go. 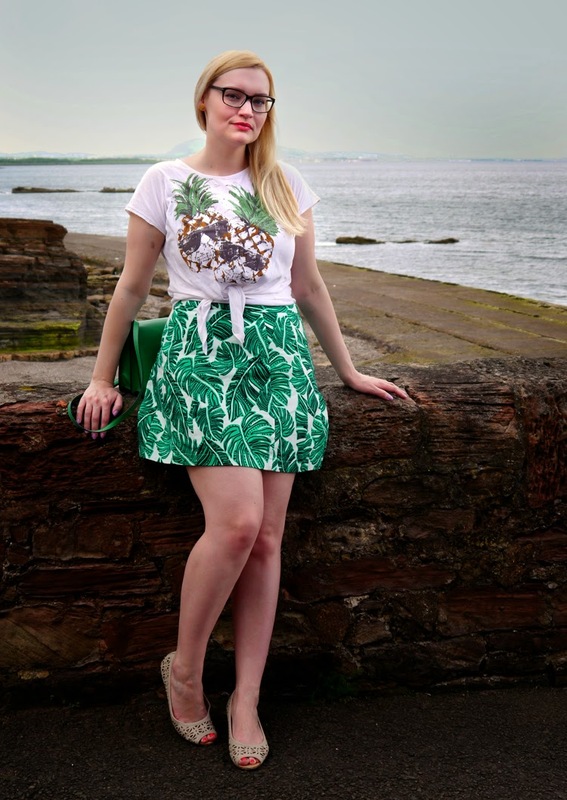 I have had this pineapple- in- sunglasses crop top for a few years now but I always felt self conscious wearing it. Now that crops have crept into everyone's wardrobe I feel it's a shame to put it to waste. It helps that this seasons waist lines are higher to balance out the belly. This skirt is a pretty simple shape but it's actually a comfortable length and make my legs look looong. Yay! 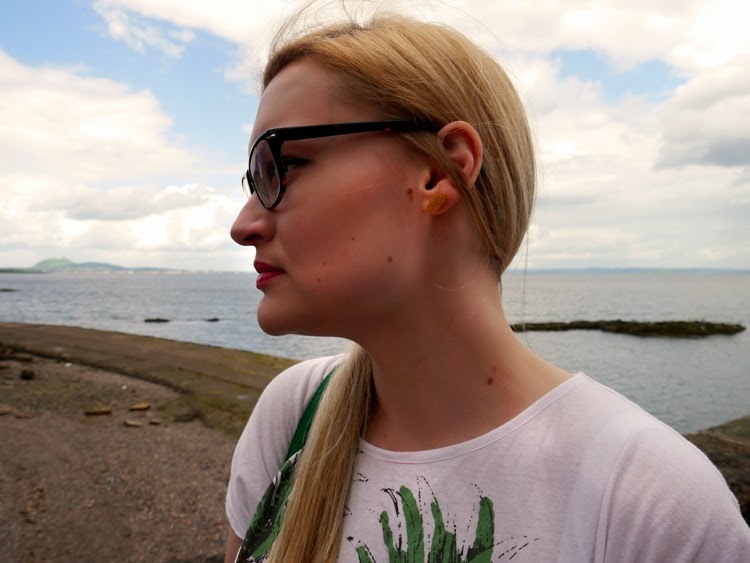 I doubled up on pineapples- because you can't have too many pineapples!- with my glittery Cheap Frills earrings. I wore them to the Etsy Craft Party too. 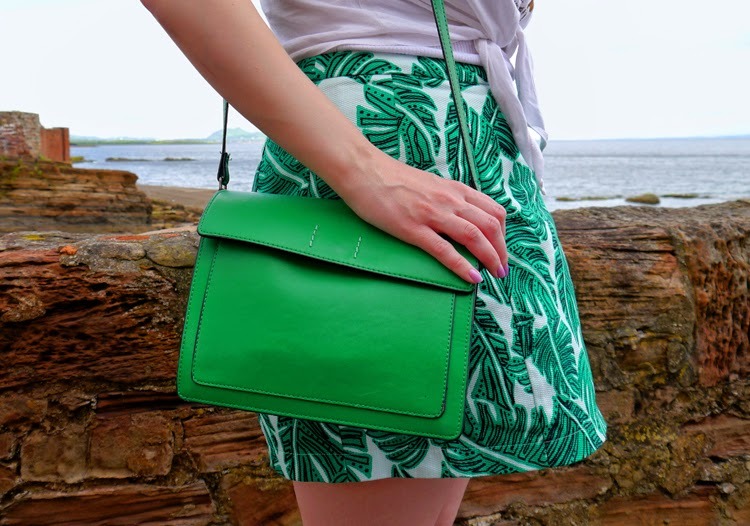 I wore this Zara blogger favourite handbag a lot last year but I love it so much I dragged it out again. It's the perfect size for all my girl crap. 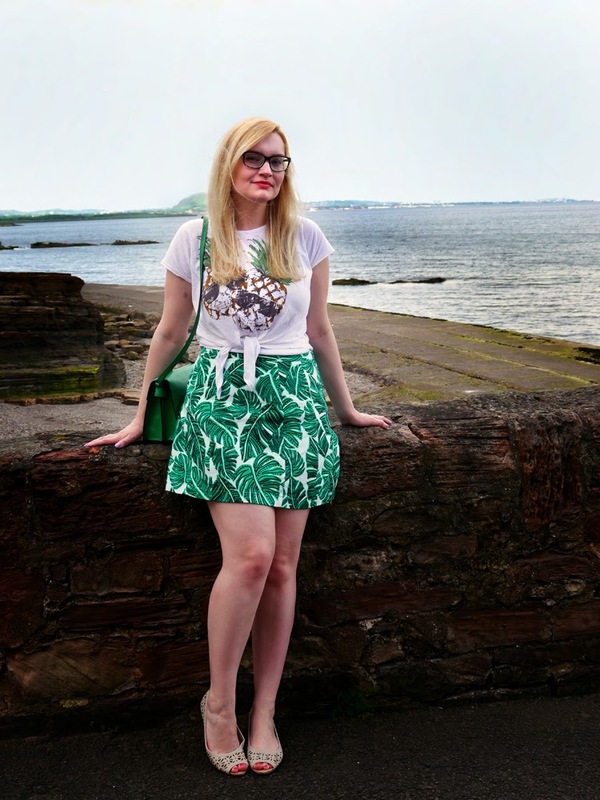 I wore this outfit to the seaside, but also on a trip to Mademoiselle Macaron in Edinburgh. It was the perfect girl date outfit and room enough for extra treats. It was the first time in about 7 years that I ventured outside without any kind of jacket.. so of course it rained. A lot. 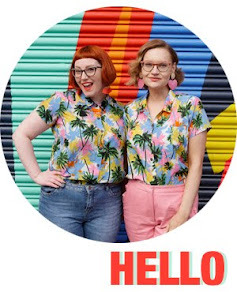 This did give us the perfect excuse to spend a good 4 hours eating cake and gossiping with Vicky from Vivid Please and Mademoiselle Macaron herself- see our review from Friday here!